MALABAR, Florida - The Brevard County Sheriff’s Office, Homicide Unit is continuing the death investigation into the fire that occurred Sunday at a residence in Malabar, Florida. Evidence that has been uncovered thus far, lead investigators to believe that the fire was intentionally set at the residence to cover up homicides. The investigation was initiated on June 11, 2017, at approximately 10:30 a.m. after an emergency 911 call was received reporting a fire at the residence located at 855 Atz Road, Malabar. 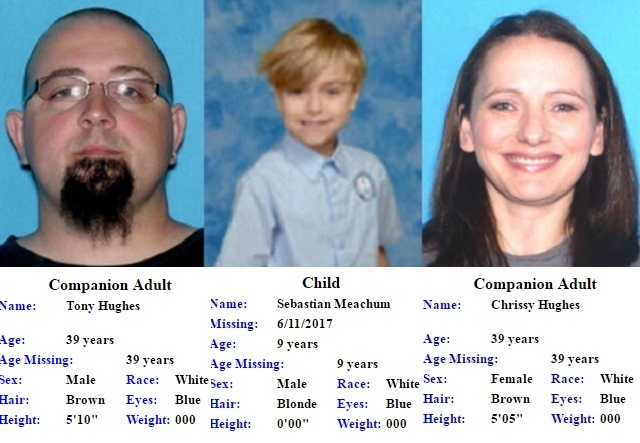 The residence was believed to be occupied by Tony and Chrissy Hughes (husband and wife), both 39-years-old; Chrissy’s son, 9-year-old Sebastian Meachum; and 39-year-old Linda Woods, of Bella Vista, Arkansas, the sister of Chrissy Hughes, who was visiting at the residence. Brevard County and Palm Bay Fire Rescues responded to the scene and during their rescue efforts, located the remains of an adult female within the residence. Firefighters were forced to exit the residence due to the unsafe conditions of the structure until later in the evening when they started a recovery search. Investigators have since located the remains of a second female and a child but are awaiting positive identification of the bodies. Autopsies are scheduled to begin at the Brevard County Medical Examiner’s Office. A preliminary examination of the victims reveal trauma that indicates that they were killed prior to the start of the fire. Additionally, a truck and boat trailer registered to the occupants of the residence was located around noon on Sunday at Christenson’s Landing boat ramp in Grant, Florida. The truck was found running at the boat ramp with the trailer submerged and the boat missing. 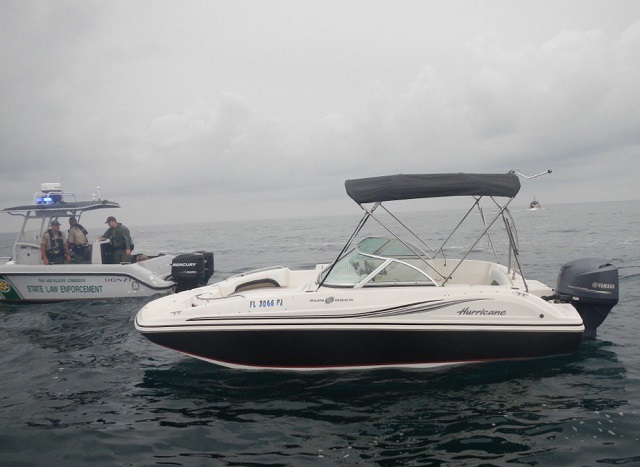 A multiagency search was commenced and the U.S. Coast Guard recovered the missing 18 foot “Grady White” motorboat driving in circles approximately 7 miles offshore of Sebastian Inlet. The boat was unoccupied, and a preliminary search of the vessel found suspected blood evidence in the vessel. The boat was towed to Sebastian Inlet and trailered to the Brevard County Sheriff’s Office for processing. The Coast Guard has ended its recovery effort in the area where the boat was located. According to witness statements, there has been some recent domestic issues between Tony and Chrissy Hughes. According to Sheriff’s Office records there have been no calls to the residence, nor are there any injunctions in place. The Homicide and Crime Scene Units are continuing to search the scene with the assistance of the State Fire Marshall. Anyone with information in reference to this investigation is asked to please call Agent Wendy Wheeler of the Brevard County Sheriff’s Office, Homicide Unit at 321-633-8413.